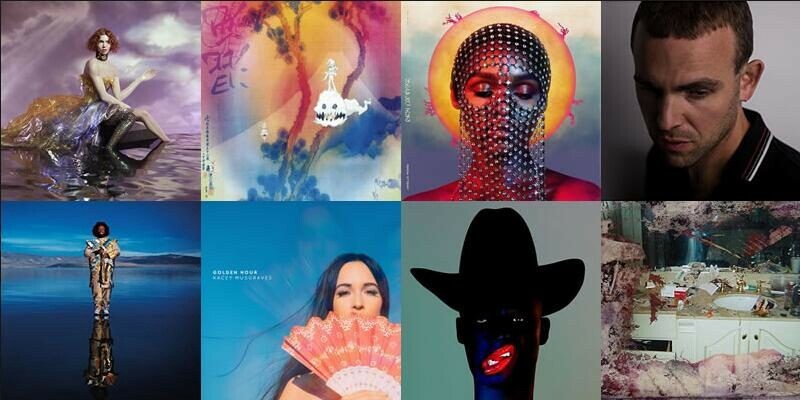 Strong women dominated in 2018 in various genres, from country (Kacey Musgraves) to pop (Ariana Grande, Janelle Monáe, Robyn) to hip-hop (Cardi B). Lady Gaga also wowed with A Star Is Born. But ultimately it was Kendrick Lamar — who topped our list last year with his solo album DAMN. and our 2015 list with To Pimp a Butterfly — who prevailed again with another soundtrack, his expertly curated Black Panther: The Album, which also just scooped up the most Grammy nominations. Listen to our wide-ranging album picks below from our individual writers and editors, plus Yahoo Entertainment’s overall top 5.